Yesterday I received some fantastic news. 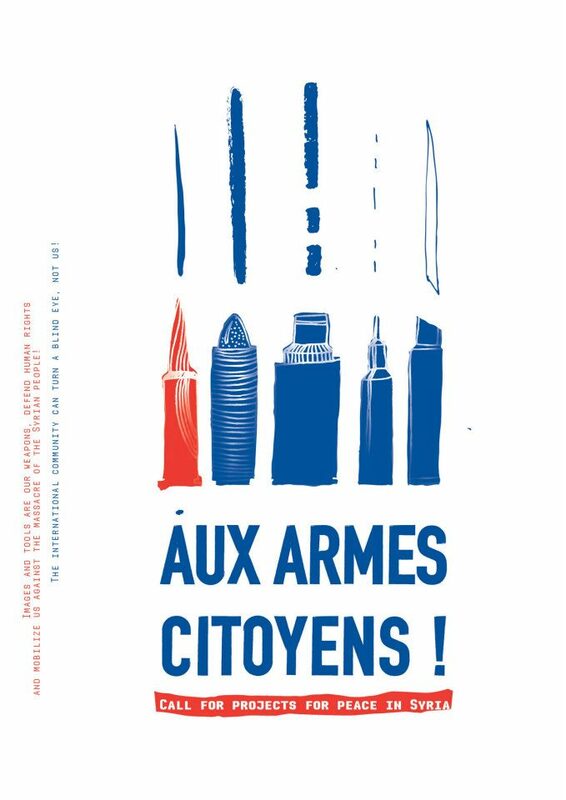 I am so proud and honoured to announce that 7 of my students where selected for Peace in Syria ‘AUX ARMES CITOYENS !’ which is a project by the Paris organisation Collectif Ne Rougissez Pas. From the 7 students a total of 10 posters where selected. I entered a poster for this competition also but when I was looking at the results on Thursday morning I did not look for my name/poster. I wanted to see my students names as I know it means so much more to them. For me it was an added bonus that my poster was selected too and it will be an honour to have my poster beside my students in Paris and other cities/countries around the world. Yesterday was a very emotional class with all the students as I told them the great news. All the hard work and effort you put into my class is finally rewarded. All the students study at the Umet Ecuador and it a privilege for me to teach them. Felicidades a todos. Estoy muy feliz.